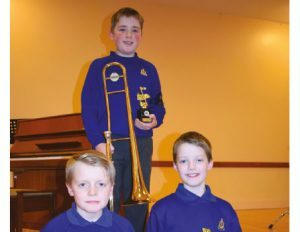 The Junior Section Musician of the Year was held in Templepatrick Presbyterian Church on Saturday 13 January 2018. It was a great afternoon and the energy and enthusiasm of the boys competing really shone through. A wide variety of instruments were played including wind, brass, strings, piano, voice, and percussion. Congratulations to all who took part.